If Weber is the charcoal grill of choice, then Char-Broil® is the innovator in the gas grill category. The company’s ingenious designs coupled with quality materials and great customer service has ensured this brand’s popularity among BBQ novices and experts alike. Of course, it doesn’t hurt that Char-Broil offers their gas grills at a lower cost. The Char-Broil brand has been around for decades; the very first one (a charcoal grill) was introduced to the market in 1948, way before the Weber Kettle was born. Over the years, the company has expanded its product lines to include smokers, fryers, and various grill accessories. 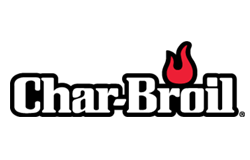 For the past several years, Char-Broil has been focused on infrared cooking, releasing a new product line named “Tru-Infrared”. Their Saber line was also introduced recently to compete with Weber’s Summit grills to cater to the higher end of the market. If you’re on a tight budget and need a low cost alternative to Weber without compromising much on the quality of the grill, then Char-Broil is the brand you’re looking for. That’s why we’re going to list 5 Char-Broil grills that are the perfect alternative to popular Weber grills. The true definition of barbecue is deliciously smoked meat. And you’ve never known true barbecue until you’ve cooked with a smoker. Char-Broil offers several types of smokers from charcoal to electric. For our selection, we chose the Vertical Propane Gas Smoker. Now, this isn’t the best smoker ever, but it also isn’t the worst one. There are several benefits to owning this particular smoker just as there are some drawbacks. Nothing beats this price. It is really inexpensive and discounts are often offered by various dealers. Despite the low cost, this is probably the best one you’ll find in its price range. 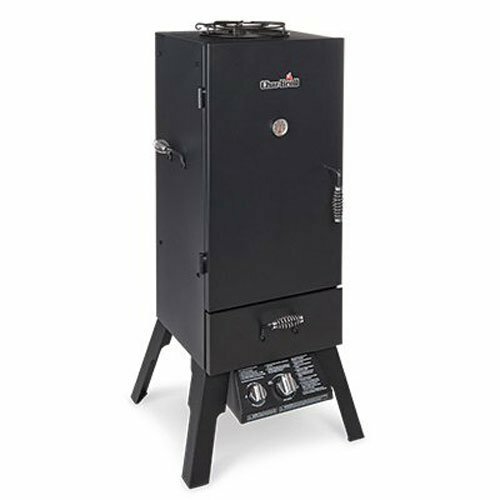 This smoker has three adjustable chrome plated grates (595 square inches of cooking space) enabling you to cook several racks of ribs at the same time. The built-in thermometer isn’t accurate which is a big deal especially when you’re smoking meat. This is easily remedied however by purchasing an accurate digital thermometer. The design is a very awkward with combined water and smoke trays. When filling it up, the water can splash over the wood chips which would then extinguish your fire. Separate containers would be better. Our suggestion would be to use the combined tray for wood chips only and just use another pan for the water on the bottom cooking grate. The handles are wound with wire to protect your hands from the heat, but they don’t really work. While some may view the Vertical Gas Smoker as an ill-constructed grill that leaks heat and smoke or has dented parts, it more than makes up for it with the results – fall off the bone, tender, juicy meat. So if you’re a first-time smoker or need a back up one and your pockets aren’t lined with cash, then this smoker is right up your alley. If charcoal and gas grills aren’t an option for you, Char-Broil also offers an electric grill that fits right in your patio. Just like the other grills in our selection, this electric grill features the TRU-Infrared cooking system that enables you to enjoy high temps for serious searing, evenly cooked meat that stays moist, and no flare-ups. Because of this same design, you can also add some flavor by creating smoke. Simply put some wood chips directly on the cooking grate and you’re set. The cooking grate is round and porcelain coated while the grill itself is stainless steel that is also porcelain coated. The grill has a 240 square inch primary cooking surface which fits around 11 burgers and an 80 square inch removable warming rack that can also be used for indirect cooking. The grill also comes with two wheels so you can easily move it around. The wheels have no locking casters though to keep the grill in place. Living in a condo or apartment complex doesn’t mean you can’t enjoy some “backyard” barbecues. The Patio Bistro Electric Grill is a pretty basic grill that enables you to enjoy deliciously grilled meals with your family or a couple of friends without the mess of charcoal or the inconvenience of gas. Just plug it in, set the temperature, and you’re ready to go. Charcoal grills aren’t known for cooking via infrared radiant heat; it’s usually a combination of convection heat (hot air) and conductive heat (hot cooking grate) that does the job. But Char-Broil’s TRU-Infrared design changes all that. With this grill, you get a no-fall-through cooking grate that provides concentrated radiant heat with little exposure to the burning charcoal below. This means that you get evenly cooked meat that’s moister that those cooked in traditional charcoal grills. This innovative grate also ensures that you prevent flare-ups and hot spots around your grill. Even better, small foods like veggies and shrimps are at no risk of falling into the burning charcoal. unique air intake holes around the perimeter of the charcoal grate which enables you to turn your Kettleman into a decent smoker (no additional accessories required). a generous 10-year warranty for the firebox and lid, 5 years for the ash bowl, and a 2-year warranty for everything else. the single hood damper isn’t an effective tool for air and temperature control nor does it allow you to extinguish coal after you grill to save it for the next cookout. Drippings from your food get caught up in between the v-grates of the no-fall-through cooking grate so you’ll need to scrape them off from time to time during your cookout. The ash removal system, while making clean up relatively easier, still could use some improvement; not all the ash falls into the pan so you’ll be spending time brushing ash around the sides of the kettle into the pan. While the Kettleman isn’t a right match to Weber’s Premium 22” Kettle, it can certainly deliver beautifully cooked meals which are most people eager to taste. It’s very easy to use even for novices. For a grill at its price range, you definitely get more bang for your buck. If you love tailgate parties or barbecue picnics, then this is the grill for you. The Char-Broil Grill2Go X200 is a tabletop gas grill that uses Char-Broil’s innovative TRU-Infrared design to provide searing temperatures without the flare-ups while producing evenly cooked, moist food. Despite having only one burner, the 200 square inches stainless steel cooking grate (fits 12 burgers) acts as a radiant plate that ensures you reach target temp with minimal fuel consumption. 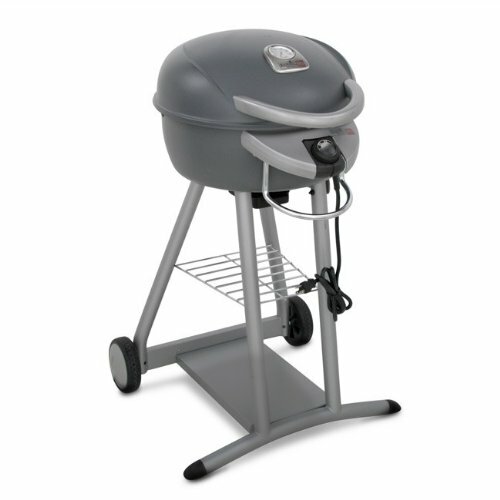 The lid has two latches in front that holds the grate in place while you carry the grill around. This portable gas grill is very easy to use – quick to light, quick to cook. There are a few drawbacks to this grill, however. While the grill is perfect for cooking burgers and steaks (especially when you want to do some searing), it doesn’t work well with delicate meats that require low temperatures. Most infrared grills have a hard time staying at a low temperature. Another drawback to this grill is the grate which can be a tad difficult to clean after each cookout. 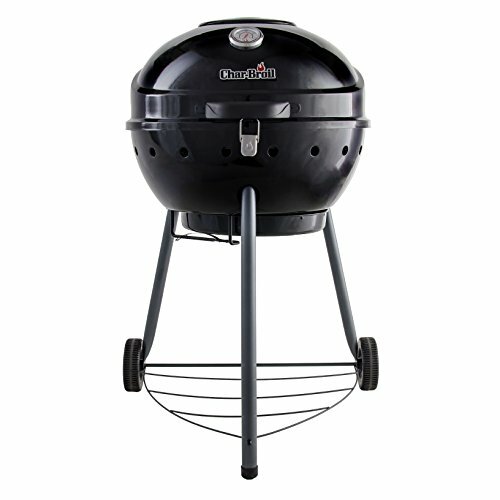 Overall, this “little” grill is still a great choice for BBQ with the boys or back at home. If you’re in the market for a decent, basic gas grill that will work reliably for several years, the Char-Broil TRU-Infrared Commercial 3-burner just might be what you’re looking for. Like the other TRU-Infrared grills from Char-Broil, this commercial grill employs infrared heat to cook food, and it does so beautifully. The meat is cooked evenly and stays juicy. And because the meat has little exposure to direct flame, there’s no chance for flare-ups to occur. The best thing about this TRU-Infrared grill though is that you can dial down the temperature for some low and slow cooking – a feature that a lot of infrared grills are incapable of achieving. And if you want additional flavor, you can quickly put in some wood chips or pellets between the grates to create smoke. The grill comes with stainless steel plates that are placed right below the grate which holds the heat from the burners and spreads it evenly across the grate. These plates enable the grill to reach high enough heat for searing without using up a lot of fuel. Small holes are located on the plates to enable drippings to fall down to the burners and for combustion gasses to go up – two things that add flavor to the meat on your grill. 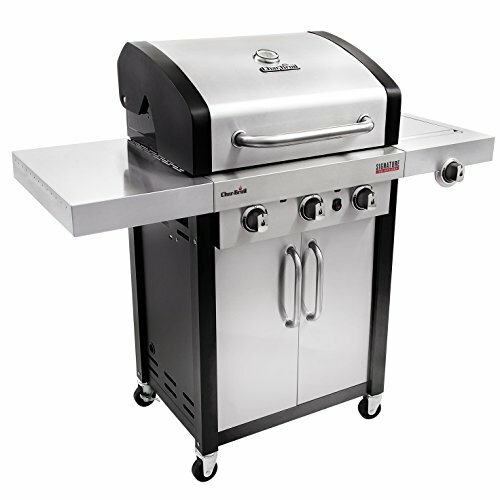 Aside from its wide temperature range, this grill has several other nice features such as a 500 square inch primary cooking space, a side burner (with a hinged lid) for sauces and side dishes, locking casters for portability, and a warming rack that moves back whenever you open the lid so you can easily get the food laid out on your cooking grate. Though the quality of the stainless steel could be better (there have been some complaints), this basic gas grill definitely delivers for its price. You get beautifully cooked food with minimal effort and fuel consumption. While the grill probably won’t last a lifetime, it will last for several years. Well worth the cost.